Home / brand new / brand new artist / Hanne Leland / música / Hanne Leland Unveils Stunning New Single "Stay"
Hanne Leland Unveils Stunning New Single "Stay"
Norwegian born, London-based electro-pop singer/songwriter Hanne Leland has just unveiled her brand new single Stay, an electro-pop ballad about the fear of losing a loved one. What first caught my attention was that melancholic piano melody in the beginning and her smooth vocals. Then the electronic production kicks in giving this beautiful love ballad a summery vibe to it. Hanne's vocals convey so much emotion and the song is a pleasure to listen to. Stay was written and co-produced by Hanne, and produced by Jim Eliot, the producer behind Ellie Goulding's breakthrough hit "Anything Could Happen". Stream it below! I wrote "Stay" on my piano at home last year. I brought it to a couple of different producers, but none of them were catching the vibe I wanted for the production, until I presented it to Jim (Eliot), and he started working his magic on it. The recording process was really emotional as the song is very personal to me, and I feel like you can really hear the raw emotion coming through in the song. 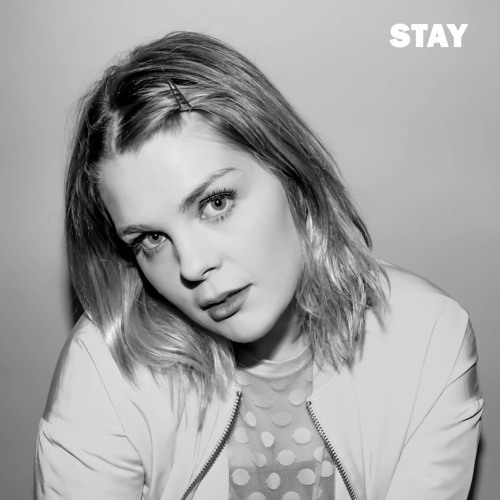 Hanne first came into the music scene in 2013 as a country-pop songwriter in Nasville and now has crossed over to the electro-pop genre and I think this is a perfect fit for her.